Many Polyvore members were shocked when the site was bought, and then shut down overnight by Canadian company, Ssense. Some of them had spent hundreds of hours developing their own style and building their brand. Each individual’s fashion look is as unique as they are, and those looks inspire millions of fans to discover new and exciting outfits. And, that’s why Polyvore was so important to so many of its members. Anyone in the fashion world will tell you how much effort goes into sets. It’s not just a matter of clipping a pic and adding it others to create something that looks good. Hours of work are required to create the perfect look. This is not just a few fashion items which look great together, but an ensemble that truly has that ‘wow’ factor. So Where Can Polyvore Users Go Now? Over the past few weeks many Polyvore users have jumped onto a variety of fashion platforms, some good and others not so. 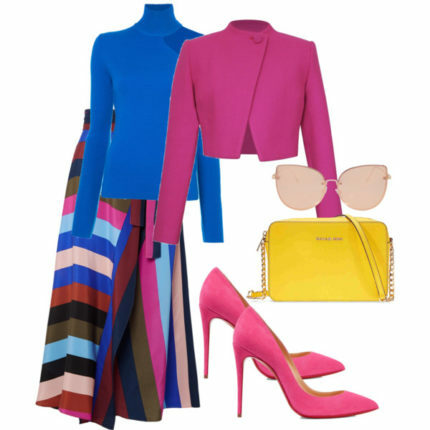 Polyvore users have been seeking that one place where they can continue to be creative, and many have found it on Fashmates. What Has Fashmates to Offer? Fashmates has imported over one million sets so far for Polyvore users. As you can imagine, that’s a lot of creative people who are now calling Fashmates home. Fashmates has great tools that allow trendsetters to put together some amazing looks. If you are one of them, check out these great videos – Fashmates, How It Works. You won’t be disappointed. To find out how Fashmates is helping and supporting Polyvore users like you click here.